1969 was a tumultuous time in American history. It was a time of Vietnam-war protests and a society torn by the aftermath of two assassinations. However 1969, and particularly the summer, was also when Neil Armstrong uttered the famous words “One small step for a man, one giant leap for mankind” and young people from all across America descended upon a sleepy hamlet in upstate New York for three days of rock music-Woodstock. But for a 12-year old kid blissfully unaware of the larger situation, it was great to live in Washington DC during the summer of 1969. 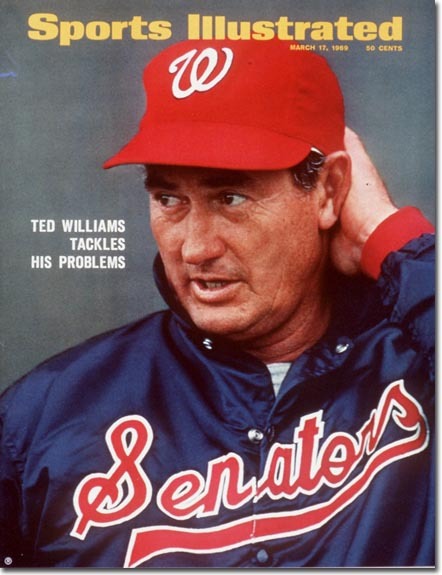 The Washington Senators were actually winning games. Ted Williams had the team on a roll. The icing on top of this magical cake was that DC was also hosting the 1969 Major League All Star game…and I was going! Like most kids, I pestered my father all the time to see the Senators play, bat day, helmet day…any game for that matter. Even though he wasn’t quite the baseball fanatic I was he took me to a couple of games a year. Naturally, I also bugged him about going to the All Star game not really thinking we had much of a chance. Somehow, probably through a work connection, Dad came through and I was ecstatic to be going to the big event. The game was set for Tuesday, July 22nd, just two days after the famous Apollo 11 landing. The weather report was none too good and, just as we were leaving for the stadium, we had one of those mid-summer downpours DC is known for. The rain just wouldn’t let up. Finally, the sun peeked through when we arrived at the stadium and I began to pray we would get the game in. However, we heard the radio announcer say the game was cancelled and would be played the next day. So, for me I had another day waiting on pins and needles while Dad had to do some quick scrambling to get off early from work a second day in a row. The next day, we arrived at the stadium and took our seats in the lower deck behind first base. To a kid who loved baseball and idolized its iconic players, this was like dying and going to heaven. Right in front of us were Rod Carew, Brooks Robinson, Roberto Clemente, Bob Gibson, Juan Marichal and so many others. In fact, when you include managers and coaches, there were a total of 22 future Hall of Fame members at that game, including eight men who hit over 500 home runs during their career- Ted Williams, Reggie Jackson, Frank Robinson, Harmon Killebrew, Willie McCovey, Hank Aaron, Ernie Banks, and Willie Mays. Two Washington Senators were selected to be on the American League roster. Frank “Hondo” Howard was set to start in left Field and relief pitcher Darold Knowles was selected by manager Mayo Smith of the Tigers to be in the bullpen. The game started inauspiciously for the Washington fans as Frank Howard muffed a fly ball by Hank Aaron in the 1st inning allowing Matty Alou to score. As I recall, it was a short fly ball to left that Hondo just missed while in full gallop. Finally, in the bottom of the 2nd inning, Hondo would be getting up to bat. He was facing starting pitcher, 300 game winner and future Hall of Famer Steve Carlton. Early in the at bat, Hondo took a great swing and the moment the ball left his bat, the stadium seemed to go completely silent… I think I may have actually lost my breath for a bit. As I followed the trajectory of the ball directly away from me, a little right of dead center, I remember thinking this couldn’t really be happening, surely this would be a big tease and just a long fly out…as the crowd noise began to crescendo into a full roar, the ball kept going and going before crashing into the right center field mezzanine (later to be measured at 458 feet! )…another titanic tape measure home run for Frank Howard in front of a hometown sellout crowd. What could be better? Unfortunately, the National League kept piling the runs on and by the time the Senators’ Darold Knowles took the mound to relieve Blue Moon Odom in the third inning; the senior circuit had put 8 runs on the board. However, “our” fireman got the last two outs of the inning before being pinch hit for. The 1969 All Star game turned into a home run derby before such a thing became an All-Star game staple. A total of 5 home runs were hit, two by Willie McCovey, the game’s eventual MVP, and one each by catchers Johnny Bench and Bill Freehan, and, of course, Frank Howard. I specifically remember McCovey’s home runs for their ferocity…one seemingly still rising as it smashed against the right-field scoreboard. McCovey’s and Howard’s home runs sit in stark contrast to those in recent years that claimed it was too hard to hit a ball out of RFK. I also remember Carl Yastrzemski, who replaced Howard in left, making a spectacular catch and robbing Johnny Bench of a second home run. What I didn’t fully appreciate then, but do now, is the thanks I should give my Father for taking the time to take his baseball-crazed son to the 1969 All Star Game. When I visit him in Florida a few weeks from now, I will be sure to tell him. Do you have a story like Mark’s? 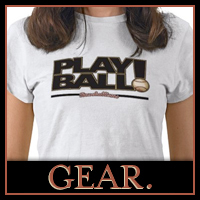 We invite you to share your personal baseball story … Send a Tweet to @baseballisms with a quick message, send us an email or visit our Upload page with a video message. We look forward to continuing to grow a community of fans interested in Wisdom from the Diamond!